Is your organization interested in supporting youth facing difficult realities? We’re looking for corporate partners for our upcoming Job Fair! As part of our Building Employable Skills Together program, we’re helping youth build skills to identify career goals, access job-specific training, and obtain job shadow opportunities and/or employment. 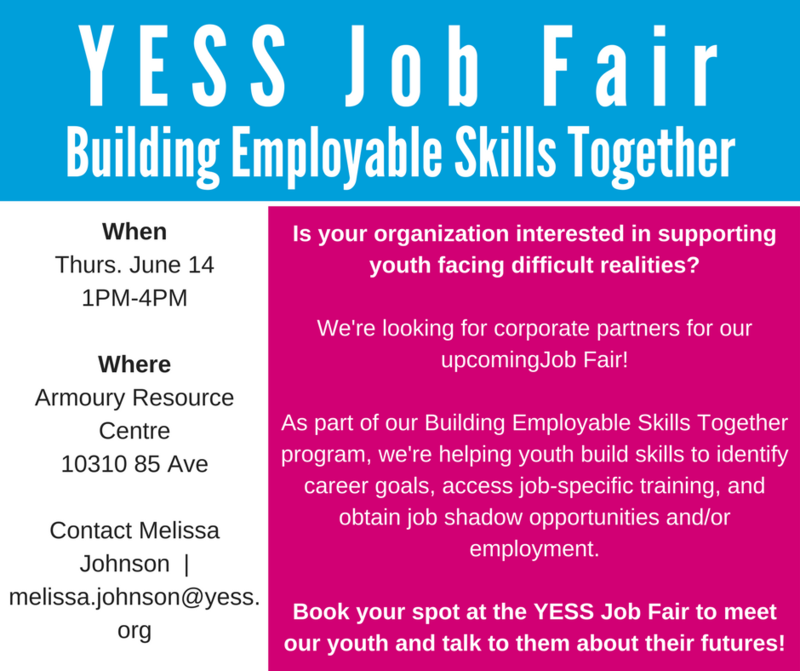 Book your spot at the YESS Job Fair to meet our youth and talk to them about their futures! For reserving a spot for your organization and more information, please contact Melissa Johnson, YESS Employment Coordinator.